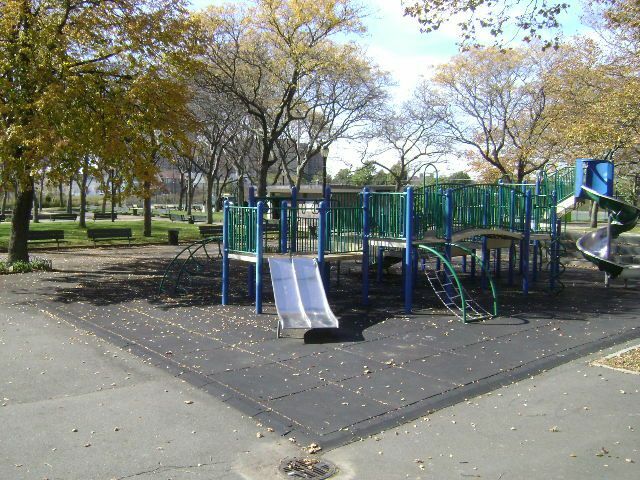 This park is named, in part, for Jules Michaelis (1893-1968), a long-time caterer and civic leader in the Rockaways. For 16 years he served as president of the Wavecrest Civic Association, and was also a member of the Rockaway Chamber of Commerce and the Borough President’s Committee on Aviation. 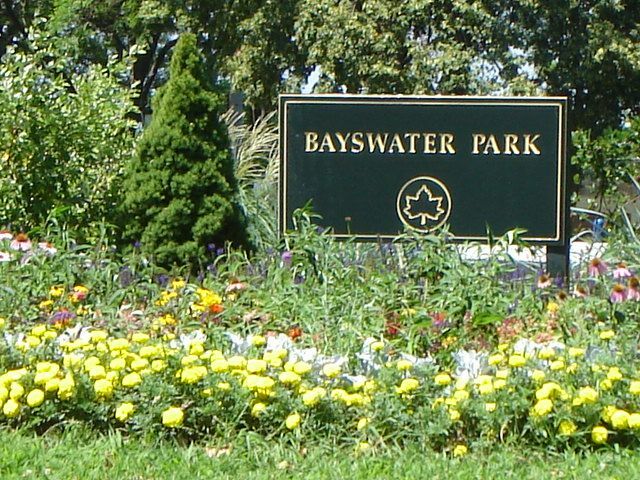 He was also a leader in the efforts to develop Bayswater Park. The community felt a need for more recreation space and better facilities, and Michaelis was particularly interested in creating a quality baseball diamond so that students from Far Rockaway High School would have a place to play. The history of Michaelis Park goes back to the 1920s. Ownership of land on the Rockaway Peninsula was poorly recorded, and there were lawyers who made a career of resolving the titles of disputed property. This park site is an example. In a 1925 court case, the City of New York asserted that it owned the property as part of the shorelands transferred by the State. The Best Renting Company also claimed the property and was renting it out at the time, believing it had legally bought the title from a private owner. The New York State Court of Appeals found that ownership went back to a colonial land grant made by Lieutenant Governor Thomas Dongan to a man named John Palmer in 1685. Much of the land from that grant is now underwater, but the court held that the land grant gave the waterfront, as well as the submerged land, to the private owners. The court thus found in favor of the Best Renting Company on July 19, 1928. Having lost its claim to the property, the City bought the initial 15.4 acres from the Best Renting Company on October 14, 1931, for $120,000 and transferred the land to Parks on the same day. Of that, 11.4 acres were underwater. Although workers cleared the site, facilities remained meager. The park offered only a stretch of waterfront and a backstop for baseball — the infield and outfield were non-existent. Through the efforts of community members like Jules Michaelis, the City expanded the park and upgraded the facilities in the late 1960s. The park was named to honor Michaelis by Local Law #53 of 1969. In 1996, Council Member Juanita E. Watkins provided $654,000 for a renovation. 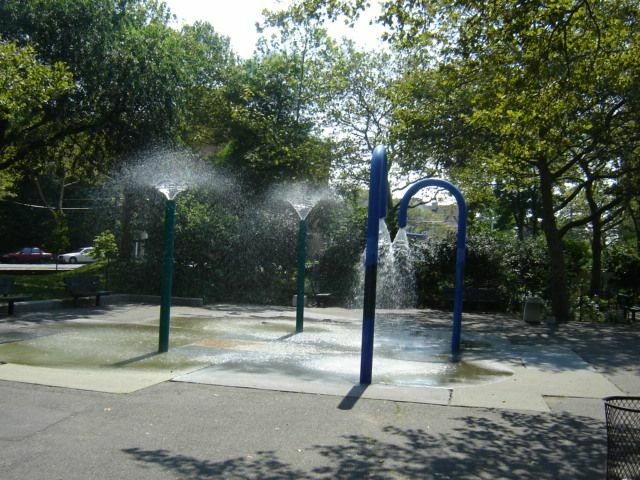 This park, bounded by Beach Channel Drive, Beach 32nd Street, Dwight Avenue, and Norton Avenue, now offers a playground with climbing equipment, safety surfacing, and spray showers. 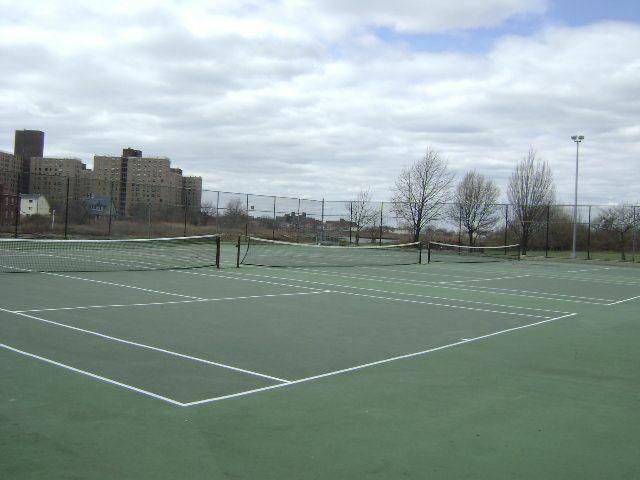 Athletic facilities include handball courts, three basketball courts, six tennis courts, and a large baseball field located near the water. There is a sitting area, an area with terraced steps, and a comfort station. Sculptures of a dolphin and a seal stand in the playground. One can also get a spectacular view of Lower Manhattan from this park.